Spring is right around the corner, even though it may not feel like it yet. That means that it’s time to turn your attention to preparing your herd for the transition from winter feed. Part of that preparation involves determining how to combine automatic milking with optimal grazing. With a free-flow traffic system, cows are regularly incentivized to use the robot through the offering of concentrates. These concentrates complement the feed they receive with the partially mixed ration at the feed fence. The question everyone asks is “how can cows be motivated to milk when grazing is involved?” Instead of the concentrates, access to fresh grass multiple times per day through the ABC grazing system is the positive motivation. When the motivation of a cow changes, it is important to safeguard this via the correct pasture. That’s why Lely developed the Lely Grazeway selection box, giving you more control over grazing by using pre-set selection criteria to determine if specific cows need to be milked or are allowed out to pasture. Before letting your herd out to graze, it’s important to make sure the pasture is in good shape. This begins with maintenance checks on the fences, water tanks and connections, lanes and gates. It is also important to make sure you do all the herd health checks you can before starting the transitions. Your cows will be on their feet and responsible for their own meal so make sure vaccinations are all current and that the hoof trimmer has visited those that need trimmed. Once you have completed those steps, you will be ready to begin transitioning your herd into their new diet. The Pasture Dairy Center at Michigan State University (MSU) integrates robot technology and pasture-based management. It is one of two MSU dairy farms and works to expand the research capacity of MSU. In addition to robots, they use the Lely Grazeway selection box for steering the grazing system. Howard Straub III, dairy manager with the W.K. Kellogg Biological Station, Pasture Dairy Center at MSU offers these tips to help make that transition easier on you and your cows. Transition cows to pasture slowly. This will help the cows’ rumen microbes transition to the new feed stock. At MSU, the first day out on grass is two hours long. The second day is four hours, and so on until the sixth day when they are grazing half days. The cows are retrieved from the pasture after each of these time periods end. On day 10, set the Grazeway for 12 hour access, but do not go get the cows. On day 14, the Grazeways are functioning 24 hours a day (fully grazing). While this schedule can be somewhat flexible, recommendations are to take no less than 10 days to fully transition to grass. 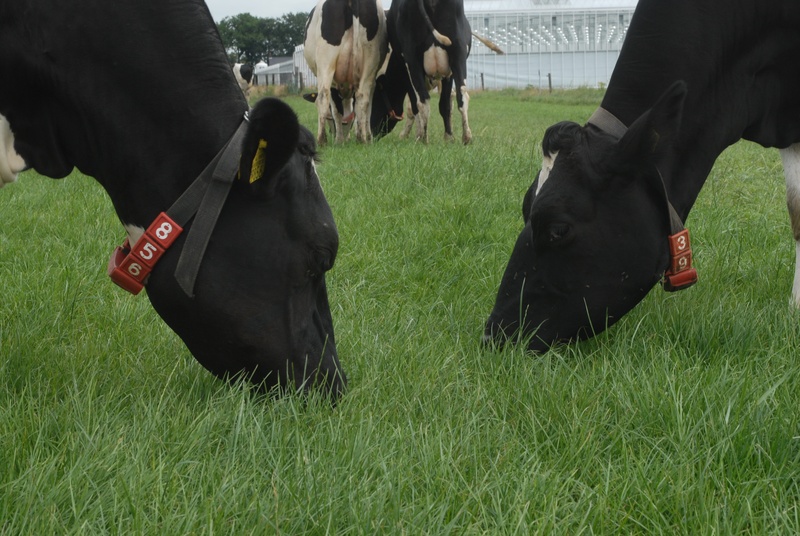 There are many factors that go into making your grazing transition successful while using milking robots. Some of those include good cow traffic, management of grass quality and quantity, access to pasture, outside access to water and adjusting to the changing conditions.